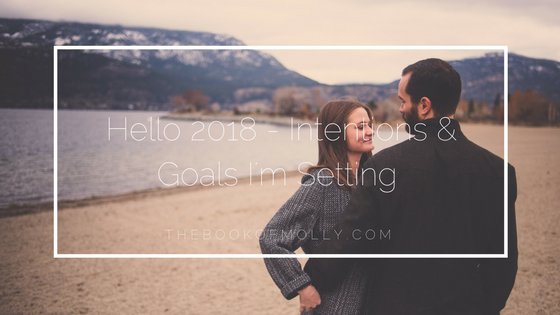 Now that I’ve said goodbye to 2017 on the blog, it’s time to say hello to 2018. So, hello 2018, I’m Molly and you’re going to be my best year yet! I haven’t overcome all my hardships that I faced in 2017 and I’m not closing my doors to them. I’ll continue to work through them to better myself. On top of overcoming those giants, this year is about my personal growth and development as a woman. I spent December intentionally focusing on how great this upcoming year would be. I could feel it in my heart and soul that 2018 would be monumental in my life’s passion and purpose. This leads me to my intentions for 2018. I have a couple of goals I want to reach, but more importantly, I have four sections of my life I will be focusing on. This year’s sentences that I will think of before every decision is “Always Choose Kindness” and “stop fearing females“. Always Choose Kindness because if I can intentionally set out to be a better, more kind person, my soul has the ability to help someone who isn’t feeling so kind. There’s enough bad in this world, so let’s choose kindness. Stop fearing females because for so many years I’ve feared friendships with females. I compare myself and I feel like the lowest of lows compared to other women. This will be the year that I stop ripping myself away from females and instead use my kind heart to lift us up. Together. I’ll be signing up for a half marathon with a friend (& experienced runner) and we’ll be running a Vancouver half marathon this year. That means I’ll have the goal to beat my 2017 half marathon time, which shouldn’t be a problem because during that run it was -5 and snowing. Brrr! This one is simple and I was shown how to do it by a coworker the other day. Matthew and I play a lot of card games and I’m the absolute worse at shuffling. I showed him my skills I learned, and I feel like I can successfully tick this goal off and it’s only Jan. 4! I have a lot of half-read books in my collection and a lot of books fully not read. Before buying any new books this year, I’ll be finishing all of the ones in my collection. I’m already two down and it’s only only the beginning of Jan! I’ve been dealing with a lot of hormonal acne lately and it hurts. I’ve decided that this year I will be focusing on what I put into my body. I’ve given up dairy in hopes that my acne will clear up (goodbye cheese. I will always love you) and I’ll be putting more fresh fruits and veg into my diet. I already have a pretty healthy diet, but I want to put a focus on organic, local, fresh produce and eliminate as much processed foods as I can without limiting myself to boredom. Fueling my body with these things will, in turn, help my body be the best it can be. Especially if I’m running another half marathon! My relationship with Matthew is the most important relationship I have. I will be spending 2018 deepening the connection and bond he and I hold. It’s been one year of being together and I know this year will bring even more love, happiness and adventure. I want to be the best partner and person I can be for myself and for Matthew. Our relationship comes first. In 2017, the Kelowna Sisterhood was created. 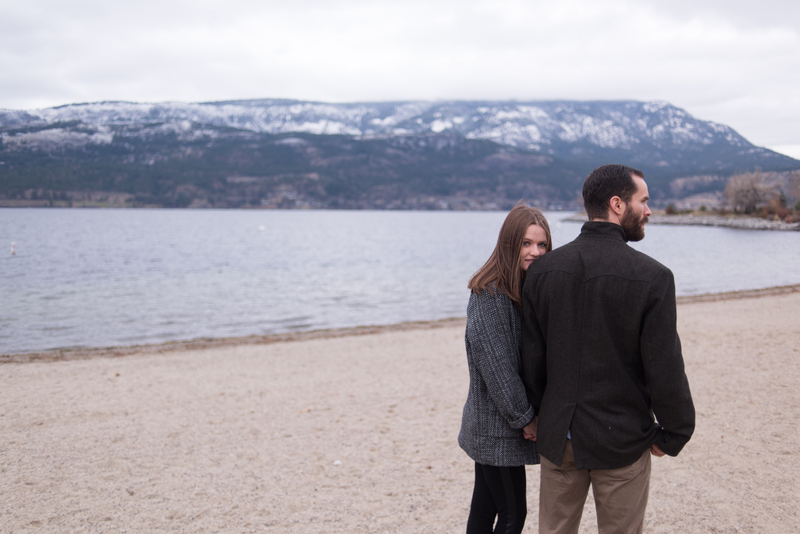 This year, my goal is to grow it and help create a community of like-minded women in Kelowna. 2018 is the year of friendship for me like I mentioned above. I have a lot of blossoming friendships that I’ve been so lucky to start. I will be focusing on these women this year to create some unbreakable bonds with them. 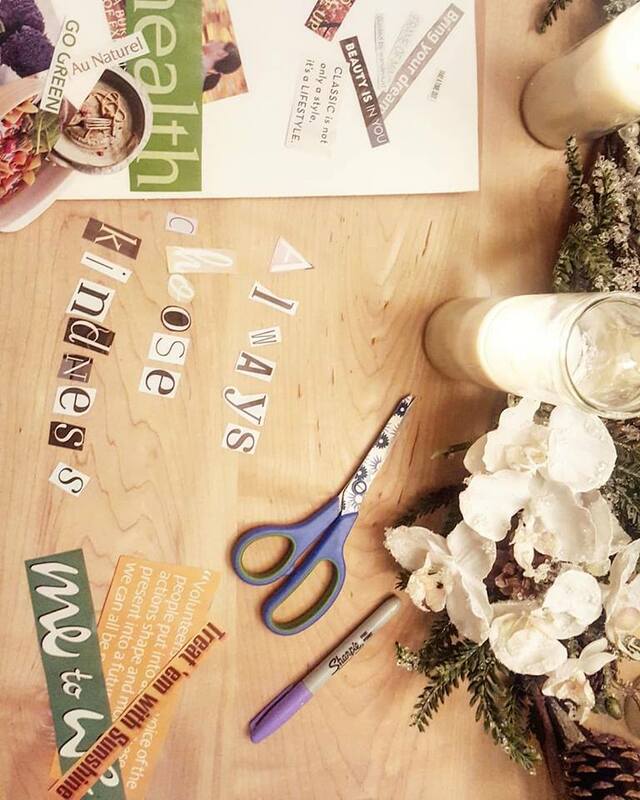 I plan to also hold more Kelowna Sisterhood events and help other sisters with their goals and passions. While I feed my body, feed my relationship and feed my community, I need to feed myself. I want to be the best version of myself that I can be. I want to feel confident and comfortable when I walk into a room and I want to know that my passion and purpose matters. I’ve asked someone I look up to mentor me and another woman recently reached about to me about teaching me. These mentors and leaders will help me strengthen who I am. This is the year that I will spend quiet time opening my mind and working to grow myself. This isn’t always going to be Instagram worthy photos of me journaling or listening to happy self-help podcasts. This means I’ll be cutting open my past wounds to figure out how to not only put a band-aid on the things that happened to me but to figure out how to properly heal. But these things have to happen in order to me to grow as an individual. In addition to personal growth through mentorship, I think adventure and seeing the world is an important part. So, in this section, I’ll also be focusing on seeing different parts of BC, going on adventures with Matthew, heading to NYC and many more places! As I finish writing this, I realize that I have a lot to focus on this year. While it seems like a lot in one blog post, I know it’s all achievable intentions and areas to focus on. I know if I remain faithful to my 2018 intentions, the passion I feel now will help me achieve these goals. I hope you women reading this will also push me to stay on track with my goals and bettering my community. Be Better – as a friend, as a family, as a worker, as a community, as a human. Loved this post! I have decided to set out this year and read books, books and more books. I am trying to stay with female authors and more memoirs than anything. My first book of the year is Song of Praise for a Flower by Fengxian Chu. It has made me look at my life and realize that I don’t have a lot to complain about. Her story is amazing and should be read!